Eye shadow base, is a product that is used to add durability and longevity to any eyeshadow or eyeliner product. That’s why, I always use and an eye shadow base before I apply anything on the eyelid. My “go-to” product is Laura Mercier’s Eye Basics. I use this when I am using neutral eye shadow colors on the eyes (think shades of: brown, taupe, cream, black, gray and gold) . Laura Mercier’s Eye Basics come in color, usually with a beige or yellow base. Since neutral eye shadows and eye basics are of the same neutral palette, they enhance each other. Though I have used various eye shadows with Laura Mercier’s Eye Basics, some bright colors do not register as vividly as I imagined. That’s because the base color of the Laura Mercier’s Eye Basics dims it. Laura Mercier’s Eye Basics in “Eyebright” has a white – blue base which I use when I am working with blue toned eye shadows only. Why? We are playing with colors here. Remember art class? If I place a yellow eye shadow on top of Eyebright, which has a blue base, what would happen? It might turn the eye shadow slightly green. We wouldn’t want that right? Not unless intended. I recommend this product to women who don’t like using eye shadow. This product registers a very natural color on your lids. It emphasizes your eyes without making it look over done. As a plus, long-term use of this product can lead to healthier eye lids *. I used this product in every single commercial that I have worked on. Especially on those who are very specific about wanting the no makeup look. I apply very little of the Eye Basics with my finger or a brush on the eyelid and I’m good. I have also observed that this product lasts all day and all night with minimal creasing, not to mention being exposed under harsh lights and various weather conditions. I was initially worried about the longevity and performance of this cream based product. It has proven itself time and again and now, I never have to worry. 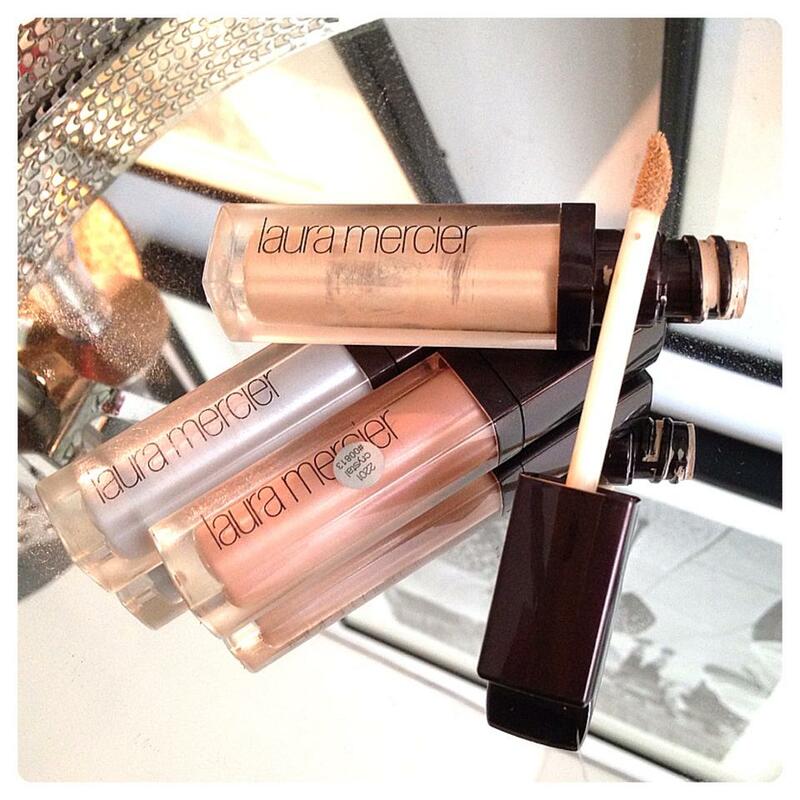 Laura Mercier’s Eye Basics some how makes your eye makeup water-resistant too. That includes the eye shadow and eye liner as well. I have been told by a few models and some private clients that their eye make up has survived a dip in the pool, the crashing of waves or a warm shower on set. I promise you, It will be one of the best purchases you’ll ever make. Laura Mercier’s Eye Basics comes in six colors to choose from. You can never go wrong (see screen capture on the left). It is available at the Laura Mercier counter in Rustan’s department store and retails for Php 995. *This product has Vitamin A, C and E components that helps in slowing down the oxidation process of the skin. Visit their website (click here) to read the full benefits of this product. Eyebright, Cotton, Flax, Linen, Wheat, Buff, Peach): Isododecane, Disteardimonium Hectorite, Cera Alba (Beeswax), Cera Carnauba (Copernicia Cerifera Wax), Ozokerite, Talc, Lanolin Acid, Ethylhexyl Palmitate, Propylene Carbonate, Methylparaben, Phenoxyethanol, Ascorbyl Palmitate, Isopropyl Myristate, Propylparaben, Carthamus Tinctorius (Safflower) Seed Oil, Aloe Barbadensis Leaf Extract, Retinyl Palmitate, Tocopherol, Euphrasia Officinalis Extract, Centaurea Cyanus Flower Extract, Anthemis Nobilis Flower Extract. (+/-): CI 77019 (Mica), CI 77891 (Titanium Dioxide), CI 77007 (Ultramarines), CI 77510 (Ferric Ferrocyanide), CI 77499 (Iron Oxides), CI 77491 (Iron Oxides), CI 77492 (Iron Oxides), CI 77163 (Bismuth Oxychloride).